Two US experts visited Tibet as part of the USA-Tibet exchange program 2018. 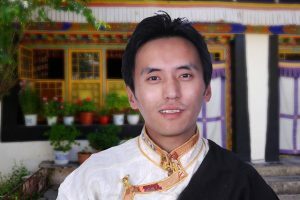 Paul Anderson, a New York based film maker came to make video profiles of two of the Tibetan exchange program alumni. 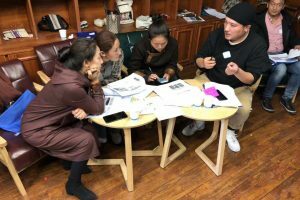 Ingrid Granlin, a graphic designer and branding expert, came to Tibet to co-teach the three-day Small Business Training with business trainer Sam Voolstra in Yushu. 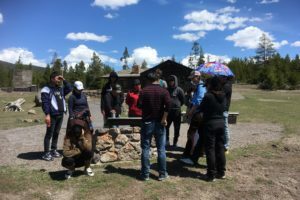 Activities included sightseeing, business training classes, educational presentations and field based experiential learning where participants experienced ecotourism related small business case studies by participating in activities and visiting local tourism operations. The group also spent five nights in home stays with local American family hosts. 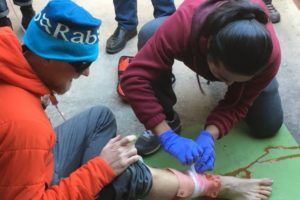 In November 2017 two Wilderness First Aid workshops were given in Chengdu and Lhasa. 32 guides from Tibet Eco Travel Collective members took part in the certification training given by Josh Olsen. 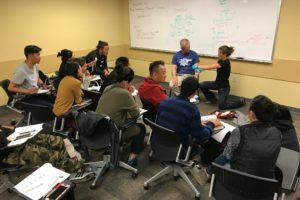 The TSBTO exchange program commenced in New York City on April 28th with twelve Tibetan participants arriving from Chengdu. Four days were spent sightseeing and learning about New York City.